Soprano Rachelle Durkin’s recent performance of Haydn’s Armida earned her a Helpmann Nomination for Best Female Performer in an Opera. The Australian raved, “Rachelle Durkin gave a magnificent performance of Armida. Sustaining focused clarity and excellent dynamic control: pure and silvery in some places, richly colored in others. Her spectacular coloratura display passages and smoothly shaped lyrical sections were equally impressive”. Her recent performances include the Fox in Cunning Little Vixon and Musetta with West Australian Opera Céphise in Rameau’s Acante et Céphise for Victory Hall Opera, concert appearances with the Queensland Symphony Orchestra, , soprano soloist in Beethoven’s 9th Symphony with both the West Australia Symphony Orchestra and the Detroit Symphony Orchestra under Maestro Slatkin, Musetta In La Boheme with Hawaii Opera Theatre, Adina in L’elisir d’amore with West Australian Opera, Helena in A Midsummer Night’s Dream with Hawaii Opera Theatre, soprano soloist in Rossini’s Stabat Mater with the West Australian Symphony Orchestra and Asher Fisch, Adina with Opera Australia Sydney, Donna Anna with the Lyric Opera of Kansas City, Norina in Don Pasquale with Opera Australia Sydney, in concert with Bryn Terfel at Leeuwin Estate Winery in Western Australia. Upcoming engagements include the solos in Beethoven’s Choral Symphony and 9th Symphony with the West Australian Symphony Orchestra and Asher Fisch, the role of Fox in The Cunning Little Vixen for West Australian Opera, Donna Anna with Virginia Opera, and Donna Anna with Pittsburgh Opera. The artist began her career by winning the top three vocal competitions in Australia in 2000: The Herald Sun Aria Competition, The Marianne Mathy Scholarship and The Metropolitan Opera Award. 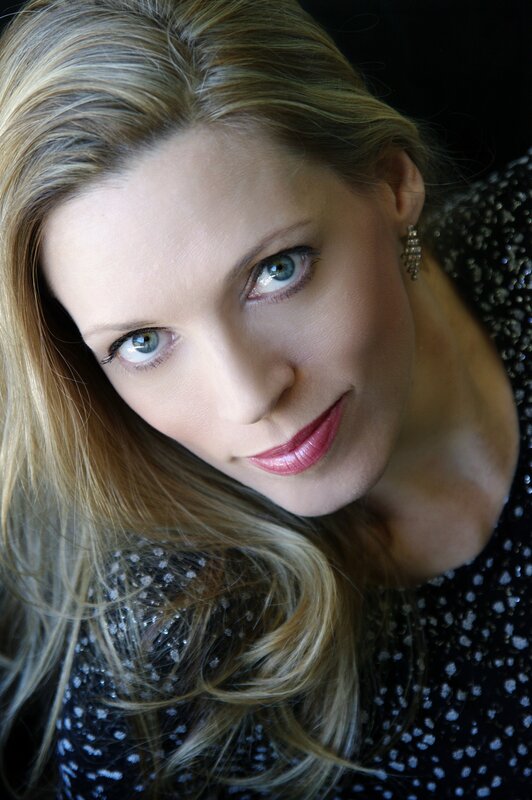 Rachelle Durkin was a recipient of the Metropolitan Opera National Council Auditions and was accepted into the Lindemann Young Artist Development Program from 2001-2004. She went on to being an established artist at the Met, singing and covering leading roles for years to come. Most notably, Norina in Don Pasquale (recorded live for Sirius Radio), Lisa in La Sonnambula (recorded live Sirius Radio), Clorinda in La Cenerentola (recorded live Sirius Radio and DVD release), Miss Schlesin in Phillip Glass’s Satyagraha (recorded live Sirius Radio and DVD release), Frasquita in Carmen, Masha in Pique Dame, First Flower Maiden in Parsifal (also at Salzburg Festival under the baton of Maestro Levine), and Young Girl in Moses und Aron. Other notable engagements include the role of Musetta in La Boheme (c: Joseph Colaneri) for West Australian Opera, Donna Anna in Don Giovanni (c: Mark Wigglesworth) and Contessa in Le Nozze di Figaro (c: Patrick Summers) both for Opera Australia’s CinemaLive HD Movie and commercial DVD release. For West Australian Opera she appeared as the Heroines in Les contes d’Hoffmann and debuted as Amina in La Sonnambula. She additionally appeared as Fiordiligi in Cosi fan tutte in the new Jim Sharman production broadcast live by ABC Television and Tytania in Baz Luhrmann’s groundbreaking production of A Midsummer Night’s Dream. A highly adept interpreter of a wide range of repertoire spanning from the baroque to modern masterpieces, the artist’s other great successes include the role of Kumudha in John Adams’ A Flowering Tree for Perth’s International Arts Festival; for Opera Australia she sang the title roles Alcina (c: Richard Hickox), Armida (c: Trevor Pinnock) as well as Angelica Orlando for which she became a Helpmann Award nominee for her outstanding performance in each production. Additional appearances include Violetta for Opera Australia directed by Francesca Zambello, Gilda in Rigoletto with ABAO Bilbao and State Opera of South Australia, Konstanze in Abduction from the Serail for Hawaii Opera, Cunegonde in Candide with Bellingham Festival of Music, and Corinna in Il Viaggio a Reims at Chicago Opera Theater. She made her Carnegie Hall debut as the soprano soloist in Handel’s Messiah.